OPINION: Cutting decommissioning costs. What’s not to like? This week Greenpeace provided written evidence to the Future of the Oil and Gas Industry, Commons Select Committee. The topic was decommissioning and the position Greenpeace presented was one of support for OSPAR 98/3. For anyone who has been following my articles and publications on decommissioning, it will come as no surprise that I took issue with many of the unsubstantiated comments made in their document. Greenpeace made points that I would ask them to support with evidence or further explanations. They also had one key omission; the role of the taxpayer in funding decommissioning activities. 1. Can you provide the scientific evidence that supports asset removal being good for the environment? 2. Do you support decommissioning activities that are energy intensive resulting in increased CO2 and other air emissions; also do you have any concerns in relation to the noise impact on marine life? 3. 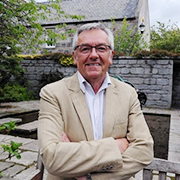 You state that – ‘We are aware that there have been attempts to weaken or overturn the presumption for removal of platforms, with, we believe, an underlying desire to cut costs of the decommissioning programme in the years ahead.’ By weaken I mean bring the scientific and societal evidence to the debate, what do you mean? 4. As a taxpayer, which I presume many Greenpeace employees are, what is wrong with a desire to cut costs? Cost reduction means that there will be more money in the treasury to support societal needs – health, education etc. 5. If large cost savings can be made by repurposing offshore architecture, would it not be much more beneficial for society, the environment and the economy to use the money saved to support green energy activities? The savings could also be used to fund other initiatives like marine conservation. 6. To provide evidence to challenge OSPAR 98/3, would you support an independent, scientific based comparison, using full cost accounting techniques, which analyses the current plans for decommissioning against one of make the offshore architecture clean and inert and use the money saved to support green energy and other decarbonising options? I would also like to draw attention to a recent publication by the Australian Government – a discussion paper on Decommissioning Offshore Petroleum Infrastructure in Commonwealth Waters, October 2018. The document has a key statement – ‘There are three main options for decommissioning property: complete removal, partial removal, and repurposing or reuse.’ The inclusion of repurposing or reuse is a very important difference when compared to the UKCS. Can we learn from our Commonwealth partners? We are not addressing the issue of climate change which has been adequately covered by the oral evidence session on 10 October. This evidence is focused purely on the question of oil installation decommissioning. Greenpeace has long held the view that oil and gas installations at the end of their life should be brought ashore for re-use and recycling wherever possible, and with only limited possibilities to apply for derogations based on operational impracticality. We have therefore supported the implementation of Decision 98/3 under the OSPAR (North East Atlantic) Convention since its agreement 20 years ago. 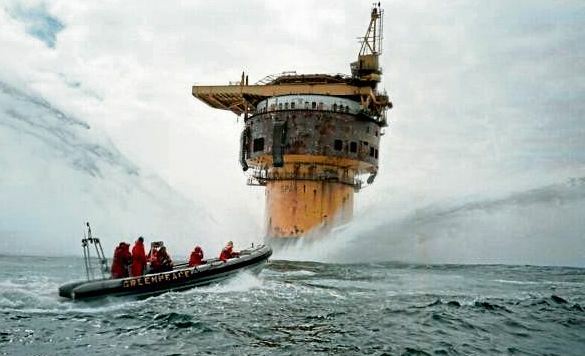 There is most definitely not consensus among environmental NGOs on allowing abandonment of offshore oil and gas platforms, or any other man-made structure at sea. Indeed, to allow such abandonment would be to undermine the existing law on such matters, rules only just this summer reaffirmed by all OSPAR Contracting Parties (including the UK) as the right approach following an extensive review. The ban on dumping of platforms, including a prohibition on leaving them in place or toppling them in situ, has worked well for the past two decades, not only in protecting the marine environment but also in promoting the reuse and recycling of the materials involved and supporting an important, specialised decommissioning industry. The ban allows for applications for derogation in certain circumstances in order to avoid requiring removals that would not be practical, and no changes have been made to those derogation categories over the last 20 years. The representative body of the offshore oil and gas industry at OSPAR, IOGP, reaffirmed in September last year that they were satisfied that the existing derogation categories provided operators with the scope they needed and that all other structures could and should therefore be removed. We are aware that there have been attempts to weaken or overturn the presumption for removal of platforms, with, we believe, an underlying desire to cut costs of the decommissioning programme in the years ahead. The argument is that such structures can provide vital hard surface habitat for marine species. We do not see this perspective as well-founded, and our opposition to this perspective is shared by WWF, KIMO and Birdlife. Our view has always been, and remains, that the best way to ‘help’ marine ecosystems is to restore them to as natural a state as possible once a structure is no longer in use, and instead focus greater attention on reducing pressures on such systems from other human activities. Protection of cold water corals is one example – we will not prevent the loss of natural stands of Lophelia pertusa by allowing the ‘leaving in place’ of oil platforms that may have some specimens on their surfaces – we have to protect corals and the ecosystems they support by addressing all the other pressures that are leading to their decline. Otherwise their patchy presence on artificial structures will quickly become irrelevant anyway. Furthermore, just because a hard surface has provided a point of attachment for marine species does not make it an unqualified ‘benefit’ as it may well be encouraging changes in ecosystem structure from the natural state. By analogy, many marine species make use of plastic litter as surfaces for attachment or as a refuge, but it is hard to see that this could be considered a beneficial effect, or used as a basis to argue that we should therefore leave such litter in the sea. There may be cases in which the construction of an artificial reef for the protection or enhancement of marine species may be proposed. However, in such cases, OSPAR has separate guidelines covering their design, construction, deployment and, if necessary, modification and removal (if conservation goals are not achieved in practice). These guidelines require such reefs to be deliberately designed and positioned for a specific purpose (i.e. to meet specific conservation criteria) and not to be constructed conveniently from waste materials and/or in locations that are convenient to facilitate disposal of such materials. These guidelines were, in part, designed to close the loophole that could otherwise have seen dumping of platforms dressed up as ‘reuse’ for artificial reef construction. The recent announcement of an ambition to make Scotland a global decommissioning hub would be enhanced by clarity and consistency about the future of end-of-life platforms. Seeking to water down international environmental rules on their fate does not help.